Carters has 60% Off Swimwear. Shipping is free on $35+ or choose free store pickup. Carters / Oshkosh has 50-70% Off the Entire Site. Shipping is free on $35+. 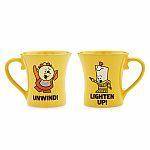 Extra 25% Off $40+ w/ Code "OKBG4028"
Hanna Andersson has new promotions. Final prices are as marked. Shipping is free on orders $100+. 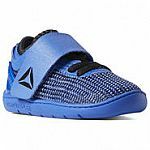 Reebok has Buy One Get One Free on Kids Footwear with code "BOGOKIDS". Shipping is free on $49+ or for account holders. Sale ends 4/22/19. See checkout example. "Coupon code "BOGOKIDS" can currently not be added to your cart." Code works. See our checkout example. There maybe some exclusions. //@Anonymous: "Coupon code "BOGOKIDS" can currently not be added to your cart." What a horrible deal! They want you to buy 2 shoes of same size and color to use this coupon. Can you go lower than this Reebok? Should say 'only for twins!' //@Anonymous: What a horrible deal! They want you to buy 2 shoes of same size and color to use this coupon. Can you go lower than this Reebok? I happen to have twins lol. //@anonymous: Should say 'only for twins!' //@Anonymous: What a horrible deal! They want you to buy 2 shoes of same size and color to use this coupon. Can you go lower than this Reebok? I happen to have twins but their sizes are different :( //@Anonymous: I happen to have twins lol. //@anonymous: Should say 'only for twins!' //@Anonymous: What a horrible deal! They want you to buy 2 shoes of same size and color to use this coupon. Can you go lower than this Reebok? Target Offers $10 Target Gift Card with $50 Lego Purchase. 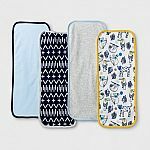 Extra 5% off & free shipping with Target RedCard or Free store pickup. 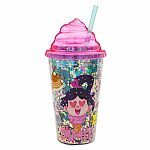 Disney Store has 30% Off select items with code "BONUS30". 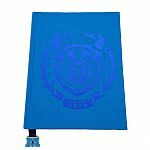 Shipping is free on $75+ with code "SHIPMAGIC". 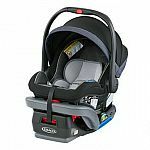 Graco has 20% Off Infant Car Seats, Strollers & Travel Systems w/ Code "STROLL20". Offer Ends 04/25/19. Shipping is free on $50+. Graco has Select Baby Travel Systems on Sale. Shipping is free. Be aware of the Worst customer service ever! 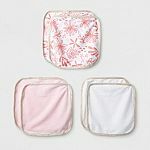 Amazon has Kiinde Twist Pouch Breast Milk Storage Bags for Pumping, Freezing, and Feeding for $6.99. Shipping is free with Prime (30-Day Free Trial). Best Buy has Select Marvels Toys on Sale. 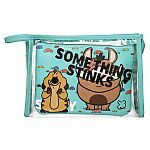 Shipping is $5.99 or Free store pickup. Aerobies are nothing short of magical. Get one! 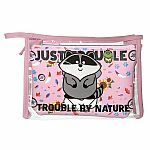 I ordered one, although it says that they are OOS and will ship latter. :) //@Anonymous: Aerobies are nothing short of magical. Get one! Find a soccer field or some other huge open space. It is amazing how far these will go in a straight line. //@Anonymous: I ordered one, although it says that they are OOS and will ship latter. :) //@Anonymous: Aerobies are nothing short of magical. Get one! 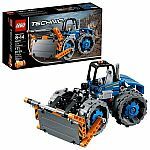 Amazon / Walmart has LEGO City Mining Experts Site 60188 Building Kit (883 Piece) for $72.90. Shipping is free. 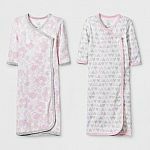 Carters / Oshkosh has 60% Off America's Favorite Jammies. Shipping is free on all orders. 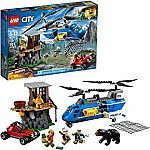 If you like pancaked lego boxes, there's an 80% chance bestbuy ships this in a bubble envelope and it comes smashed. Amazon has Razor A2 Kick Scooter W/ Black Helmet for $22.88. Shipping is free with Prime (30-Day Free Trial). 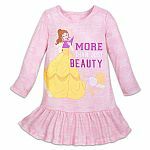 Children's Place has 75% - 80% Off Clearance. Shipping is free. 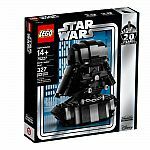 Target has LEGO 75227 Star Wars Darth Vader Bust for $40 - 5% w/ RedCard = $38. Shipping is free with Target RedCard. Amazon has 3-Pack Similac Sensitive Infant Formula with Iron for $92.61 - 45% off - 5% w/subscribe = $46.31. Shipping is free. 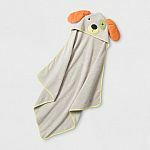 Amazon has Melissa & Doug Burrow Bunny Rabbit Stuffed Animal (Washable Surface, Soft Fabric , 9” H x 10” L x 6” W) for $8.79. Shipping is free. Hanna Andersson has Up to 75% off Warehouse Sale. Shipping is free with $100 purchase. New Customer: Extra 20% Off with code "NEW20"
crazy. items keep showing out of order while checking out. What a shame I used a 15% off for new customers instead of the 20%off one. Could have saved ten more bucks. new20 always gives you 20% off. Use a new email account every time to get it. Amazon has Similac formula on sale. How did you get it more than once. These are only for first orders, this and also on Enfamil. How did you get it 3 times? 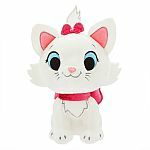 Amazon has select Toys on sale up to 80% Off. Shipping is free with Prime (30-Day Free Trial). 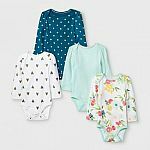 Carters / Oshkosh has 50-70% Off the Entire Site and an extra 20% Off Clearance (prices as marked). Shipping is free on all orders. Hanna Andersson has Extra 30% Off Clearance Styles. Price as marked. Shipping is free with $100 purchase. Amazon.com has Razor A2 Kick Scooter w/ Helmet Bundle for $22.88. Shipping is free with Prime (30-Day Free Trial). 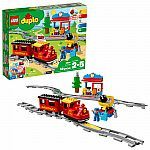 Amazon / Walmart has LEGO Creator 3in1 Shuttle Transporter 31091 for $19.99. Shipping is free with prime or free in store pickup at Walmart. 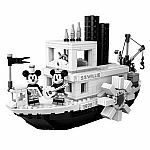 Lego has Ideas Steamboat Willie 21317 for $89.99. Shipping is free. 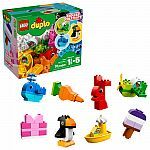 Walmart has LEGO Duplo toys on sale for up to 36% off. Shipping is free on orders $35+ or free in-store pickup. 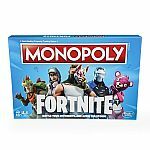 Amazon has select toys on sale. Shipping is free with Prime (30-Day Free Trial). 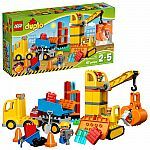 Amazon has Melissa & Doug Kids Toys Sale. 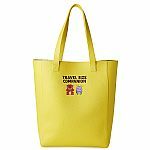 Shipping is free with Prime or on $25+. 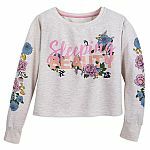 Carters / Oshkosh has 50-70% Off the Entire Site. Shipping is free on all orders. 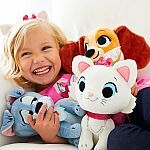 Disney Store has Up to 75% Off Sale + Free shipping on all orders with code "FREESHIP". 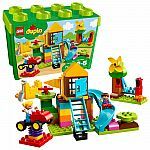 Amazon / Walmart has LEGO Friends Mia’s Tree House 41335 Creative Building Toy Set for $17.99. Shipping is free with Prime (30-Day Free Trial). Is there anything in this kit that you can’t simply make from things you find in your recycle bin? Amazon has LEGO BrickHeadz Easter Bunny 40271 Building Kit (126 Piece) for $7.99. Shipping is free with prime. 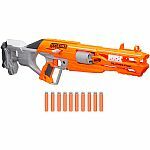 Amazon has Nerf N-Strike NanoFire for $2.41. Shipping is free with Prime (30-Day Free Trial).